The third at Red Hawk is a 211 yard, sharply downhill par 3. 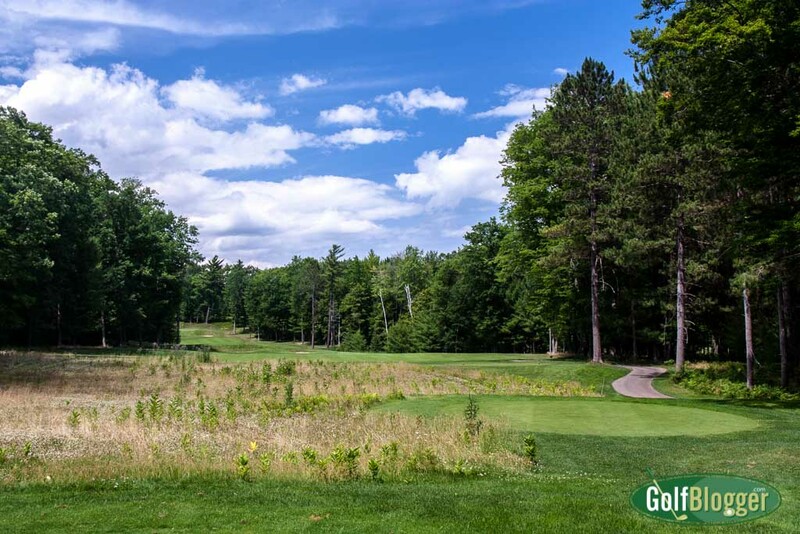 Red Hawk’s architect, Arthur Hills, is well known to Michigan golfers. 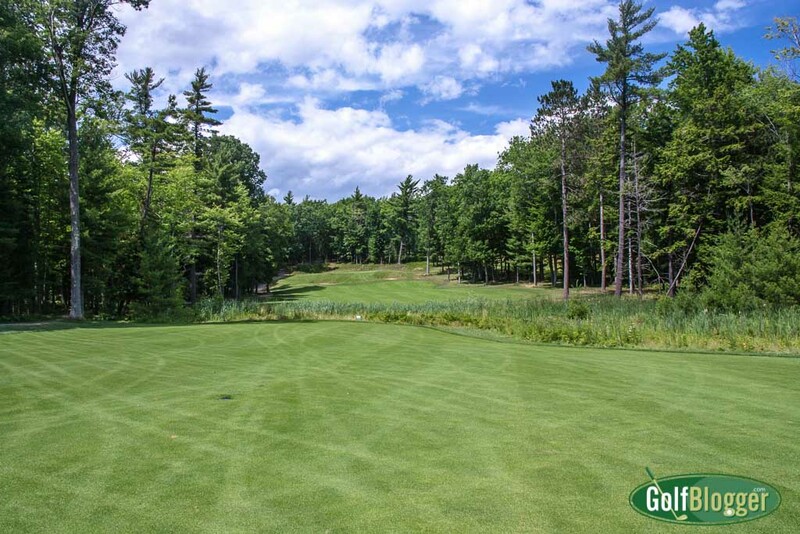 Hills is responsible for some of Michigan’s best courses, including Bay Harbor; The Arthur Hills Course at Boyne Highlands; Lyon Oaks in Oakland County, Shepherd’s Hollow in Clarkston; The Golden Fox in Plymouth and The Lakes of Taylor. Red Hawk shares quite a bit of the DNA of those courses. Fairways at Red Hawk are wide and receptive, but players must be mindful of elevation changes, swales, rolling middles, sloping sides and fairway bunkers. Red Hawk will reward repeat play, as proper landing zones reveal themselves. Approaches to the green also require some consideration A majority of the hole have indirect approaches to the green, with the fairways feeding into the left or right side. Even with a GPS that lets me zoom in on a hole, I was often unsure of my next play. The upshot is that Red Hawk will reward the repeat player — or at least the cautious player. After the round, I had a long conversation with the bag boy, who was a player on the local high school golf team. His team had done well the last couple of seasons, he said. I can imagine so … Red Hawk is a heckuva home-field advantage. From the back tees, Red Hawk stretches to 6, 589 yards and plays to a 71.6/139. The gold tees, where I played, measure 6, 168, and play at 69.8/136. The second at Red Hawk is a 289 yard par 4. My favorite hole at Red Hawk was the par four second. Measuring just 289 yards, it demands two smart, sharp iron plays. The hole has a fairway that runs somewhat left of the tee box. The entire right side consists of rough faced bunkers. A shot to about a hundred yards in the middle of the fairway offers a narrow route to the elevated green between two large greenside bunkers. 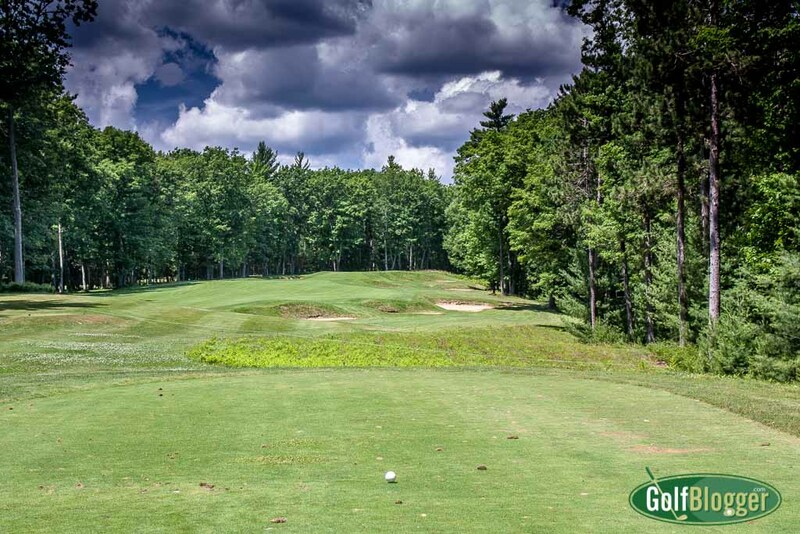 A big hitter could potentially drive this hole, but the prospect of that is made much more difficult because of the angle of the fairway and the facing greenside bunkers. A drive could easily end up in the woods left, or stuck in a difficult position tight against the bunker faces. It is nice to see a par 4 that takes the driver out of players’ hands. Red Hawks’s sixteenth is a 495 yard par 5. Another nice design is the par five sixteenth. The fairway wraps around a series of bunkers on the left, which are cleverly positioned to catch a drive. Hidden from sight, on the downslope behind those bunkers is a natural area around a creek. A carry of 240 will be sure to clear the bunkers and catch the downslope. Failing that, a play to the right offers plenty of fairway with a good view of the landing zones on the other side of the natural areas. From there, a shot of 150 or so leaves players with a desirable short iron or wedge to climb to the steeply uphill green. Conditions on the day I played were somewhat lacking. I found some large patches of crabgrass, and some ant infested fairways and greens. The greens were in good shape, but tee boxes were beat up. Any or all of these things are acceptable to me on a $25 of $30 dollar course. On a $69 dollar course, not so much. Red Hawk is somewhat out of the way in East Tawas, and as such, would be difficult to justify a special trip. However, if you are already vacationing in the area, it should be on your list. 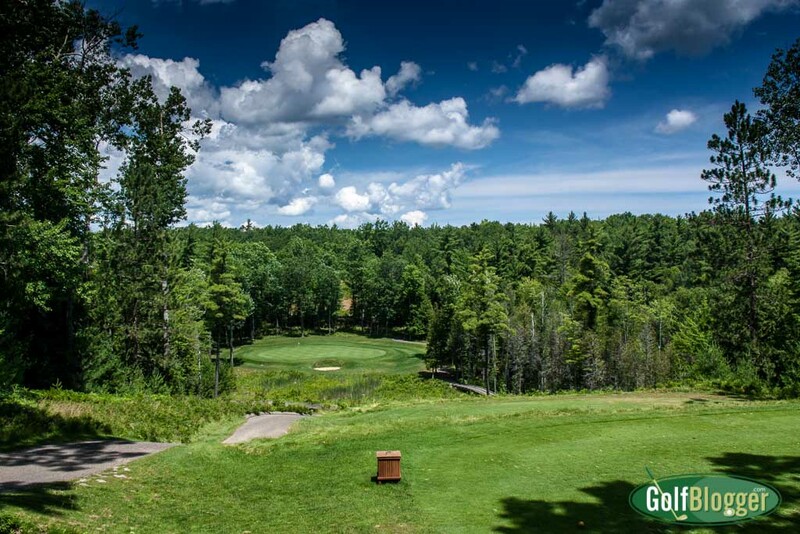 This Red Hawk Golf Course review was first published July 19, 2016 from notes taken during a round in July, 2016. The first at Red Hawk is a 420 yard par 4. The fourth at Red Hawk is a 342 yard par 4. The fifth at Red Hawk is a 511 yard par 5. A view from the fairway on the fifth at Red Hawk. The sixth at Red Hawk is a 177 yard par 3. The seventh at Red Hawk is a 575 yard par 5. The eighth at Red Hawk is a 442 yard par 4. The ninth at Red Hawk is a 366 yard par 4. The tenth at Red Hawk is a 420 yard par 4. The eleventh at Red Hawk is a 499 yard par 4. The 12th at Red Hawk is a 180 yard par 3. Red Hawks's thirteenth is a 406 yard par 4. The fourteenth at Red Hawk is a 198 yard par 3. The fifteenth at Red Hawk is a 381 yard par 4. Red Hawks's sixteenth is a 495 yard par 5. The 17th at Red Hawk is a 163 yard par 3. The eighteenth at Red Hawk is a 440 yard par 4. A quite challenging, yet picturesque course design. I love the hills and slopes that would make for the need of smart play. Definitely one course that would prove challenging but fun to play.